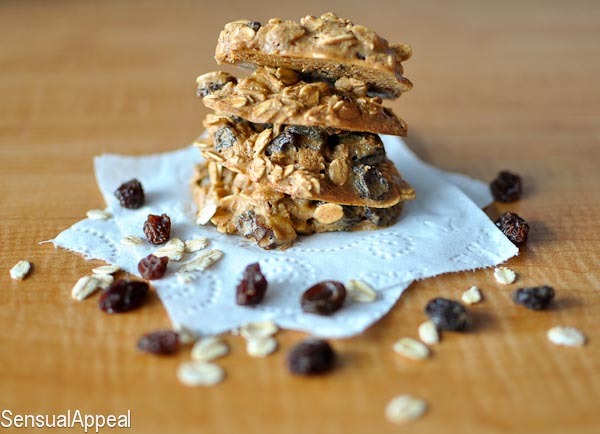 This vegan cookies recipe is fabulous and so easy! 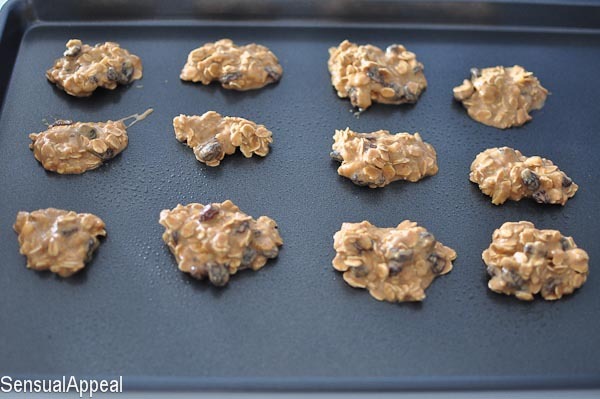 These Oatmeal-Raisin Breakfast Cookies are vegan and healthy enough to eat for breakfast but still feel like dessert! Time to get into the vegan mindset. I am doing a vegan challenge starting Monday and I am therefore prepping myself up for it. I have already finished my greek yogurt and I’m gonna have the last of my egg whites tomorrow. I’ve been looking for different recipes to use during the vegan week. Am I completely prepared? No. But that’s okay. I’m excited to start! I decided to make some quick breakfasts ready and what better way to start your day than with a cookie? Exactly. Such a perfect decision. Especially when that cookie is also low calorie! I love me a healthy cookie! Find the recipe directions at Chocolate Covered Katie‘s blog. They are only about 55 calories each! I used Better’n PB so that decreased the caloric value even further! Woopee! 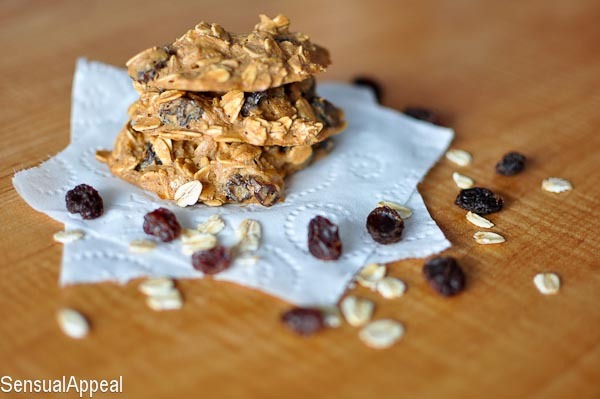 When’s the last time you made oatmeal raisin cookies? Looks super tasty 🙂 I love a good oatmeal cookie! Good luck on your vegan week! I can’t wait to see what you cook up. You take beautiful food photos. Mine are pretty awful, lol. Any tips for a newbie? For mine, I take them all using natural light during the day. I also shoot with a dSLR with a 30mm lens at 2.2 aperture so give the photos a nice depth of field. The main thing I would say is try shooting natural lighting and then edit the photos afterwards to make sure the colors are good and aren’t too orange or too blue (color temperature). Sorry to have been a photo geek on you! haha Hope that helps? Vegan week sounds fun! I have at least 3 dinners a week being vegitarian, and I make myself have one be vegan! When I make desserts, I almost always try to make them vegan, finding almond milk has been amazing! Suggestion–substitute eggs for one tablespoon of freshly ground flax, with 3 tablespoons of water, mix and let sit for a short period of time! Good luck, these cookies look great! Thank you for the tip! I’ve been looking at ways to replace eggs in baking and didn’t know which option is best, there are so many! Thank you. I’m gonna use this substation when I make muffins tomorrow! these cookies look AMAZING! and delish! If you have a minute, I would love for you to come link them up on my blog 🙂 Have a great day! Any idea what the calorie count is on these delicious looking treats? I’m making them right now. Your blog is beautiful! And as I said, your photos put mine to shame! I wasn’t kidding! I’m so glad I found it, as I’ve had fun looking over some of your other posts :). Katie is just a genius. Hahaha – these looks fabulous! Almost contemplating having cookies for breakfast now … Enjoy your Saturday! These look fabulous! 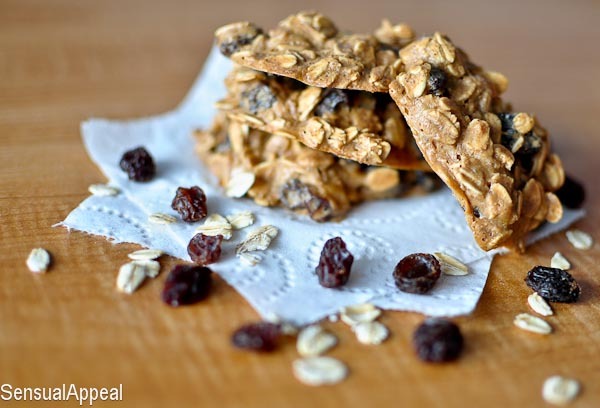 And healthy too – perfect for the weekend! They look exquisite – you take some awesome photos, as I’ve said before. These sound yummy. Mmm vegan and delicious!! Love it! These look delicious. I love cookies for breakfast, especially when they are super healthy. This is what I call, DELISH! 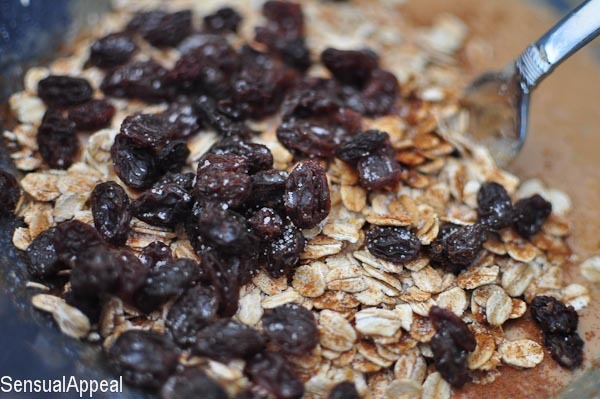 I’ve been looking high and low for an oatmeal recipe that would satisfy my taste. I’d say this is something to give it a try. Thanks for sharing!! This is what I call Delish! I have been searching high and low for an oatmeal cookie that would satisfy my taste buds. I think it’s for keeps! 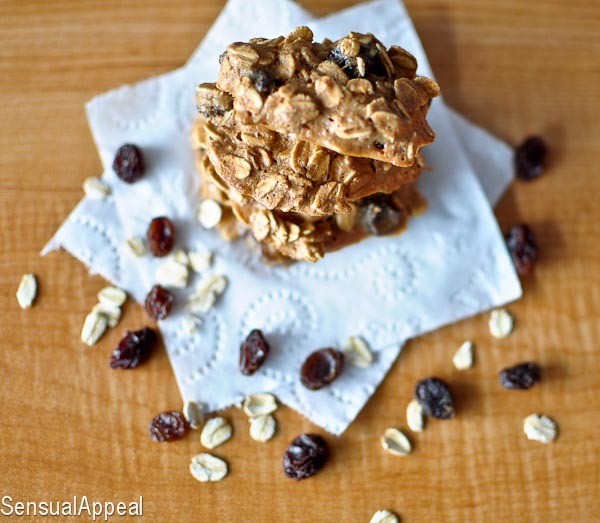 Just gonna throw this out there… is that toilet paper in a food photo? !